I have been craving my mom’s homemade oatmeal chocolate chip cookies lately. 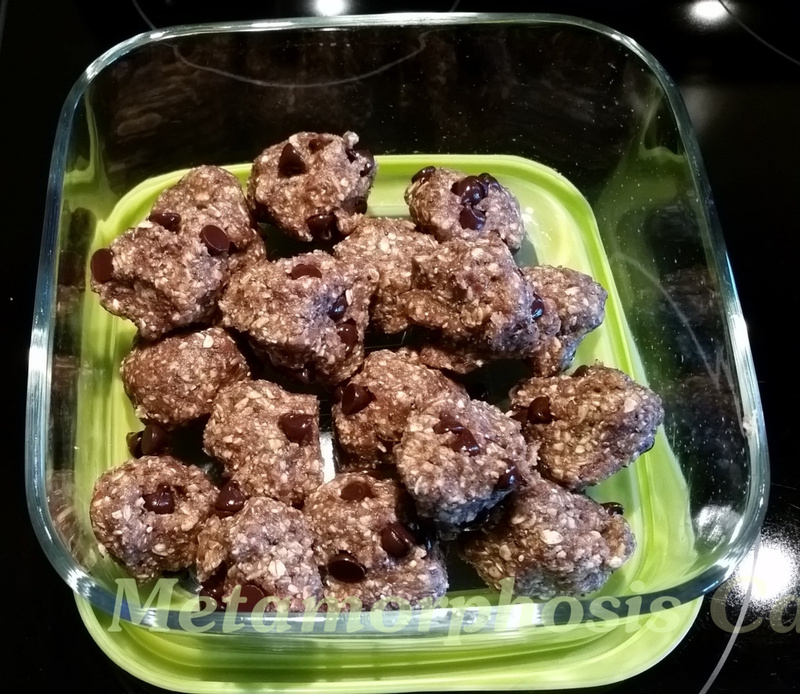 I was going to make some energy bites and then I thought how can I make these a bit like my mom’s cookies. Her oatmeal cookies have chopped walnuts or pecans in them. I got thinking – why not blend the pecans in my cupboard into pecan butter? You must be able to. 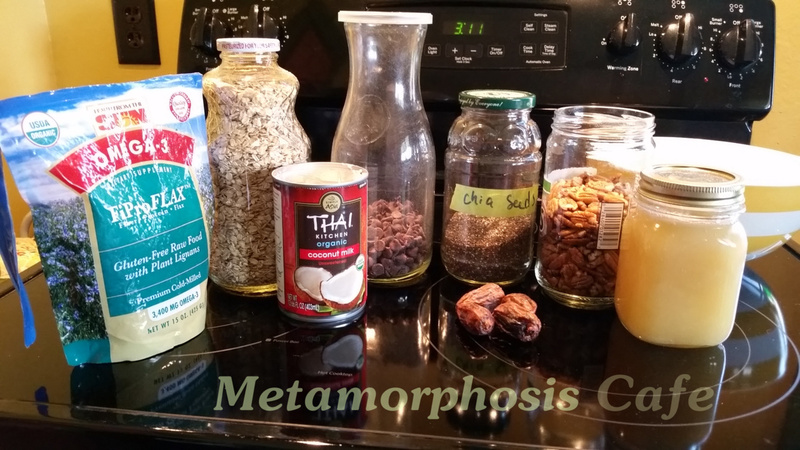 Then it is just a matter of honey and oats, maybe some chia and ground flax seed and of course chocolate chips or, if you like, craisins. Well I gave it a go today and while they taste pretty good there will be more tweaking in the future. For one thing the ground pecans did not get like peanut butter and since I am out of coconut oil I added a bit of the coconut cream off the top of my coconut milk can. I may try coconut oil again I also may try toasting the pecans in the future. 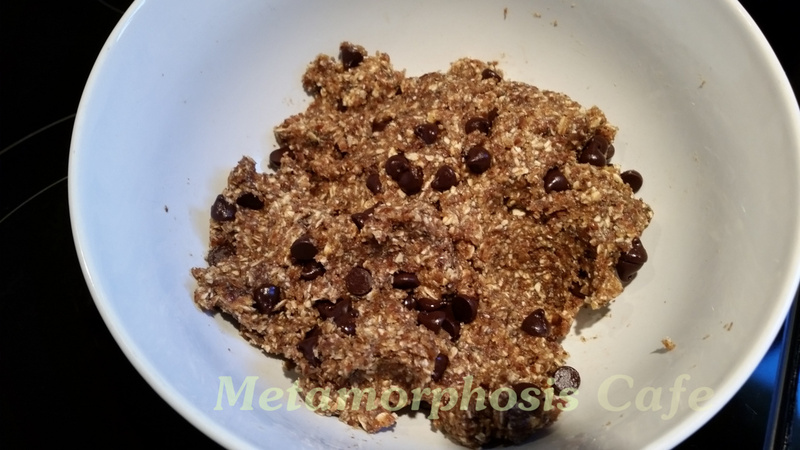 The following is the recipe I came up with which is a tweaked version of Gimme Some Oven’s No Bake Energy Bites. Pulse until blended. Stir in about 1/3 cup chocolate chips. Shape into balls. I think since I used coconut cream the balls should remain refrigerated. While not exactly like my mom’s cookies they are a delicious and healthy treat.